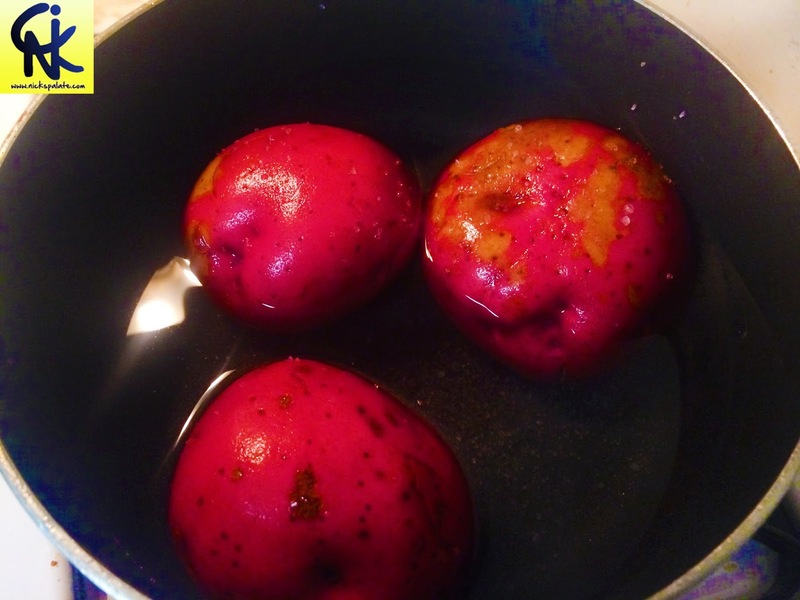 Boil 3 red potatoes. Add a little bit of salt in the boiling water to slightly flavor the potatoes while its cooking. After the potatoes are done let it cool down a little bit before peeling it off. Cut the potatoes into cubes and let it rest. 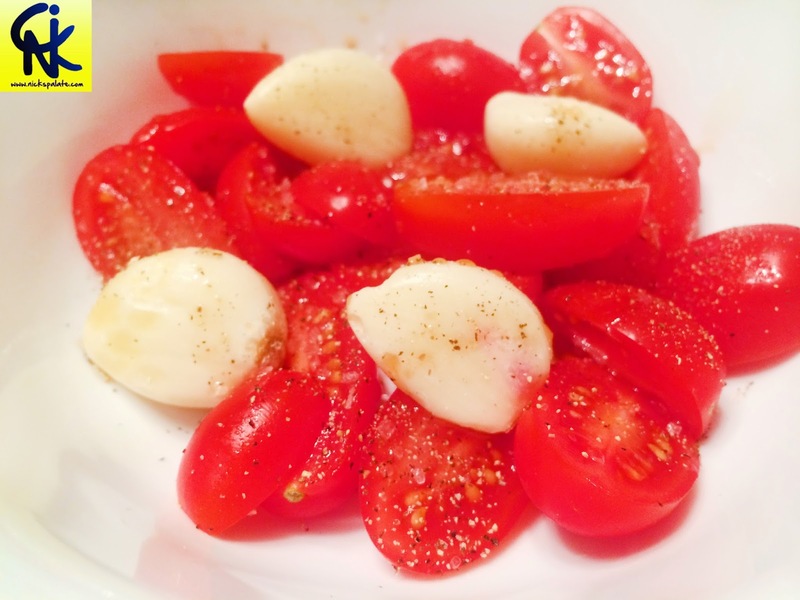 Take your cherry tomatoes and garlic and season it with salt & pepper. Drizzle half tbs of olive oil and let it marinade for couple of minutes. Put the oven in broil and cook the ingredients for about 3 minutes or until the tomatoes and garlic turn brown. 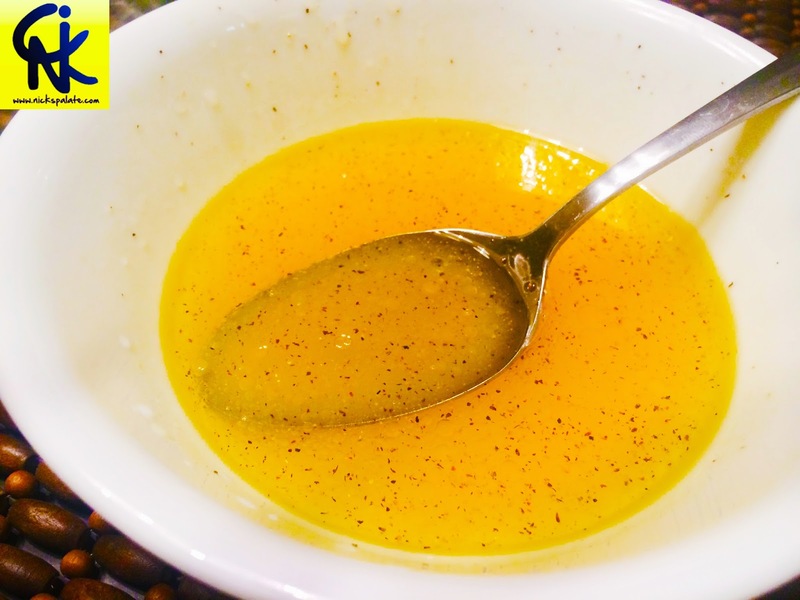 Time to make one of the simplest vinaigrette. It's very light and airy on your palate. You take 4 tbs of fresh orange juice, 3 tbs of water and about 2-3 tbs of olive oil. Add salt & pepper and mix well. The sweet-acidic taste is what you are aiming for. 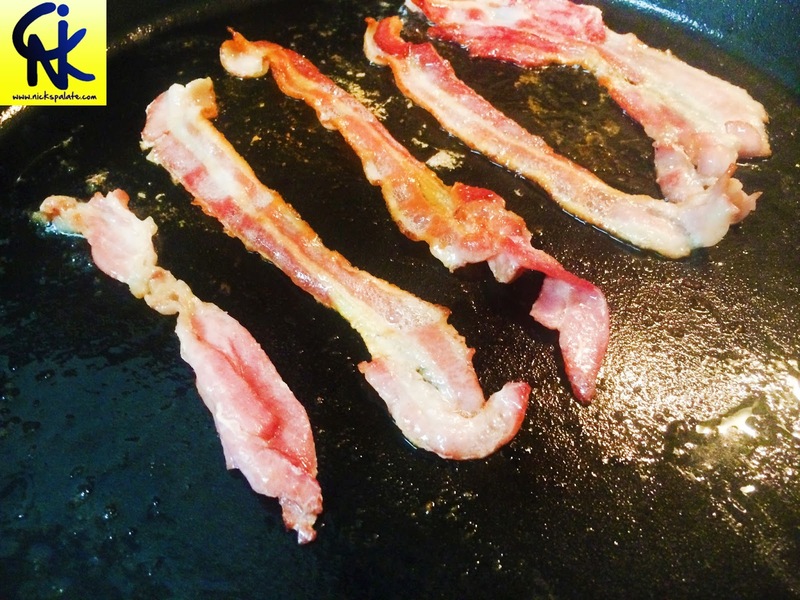 Take your skillet and lay the bacon and starting cooking it on high heat. As the bacon cooks one way turn the heat to medium and cook the other side. You don't want the bacon to burn too much. After the bacon is cooked let it rest and after few minutes crush the bacon into small pieces. Preserve atleast 2 tbs of bacon residue. We will use this later to add it to the potatoes. 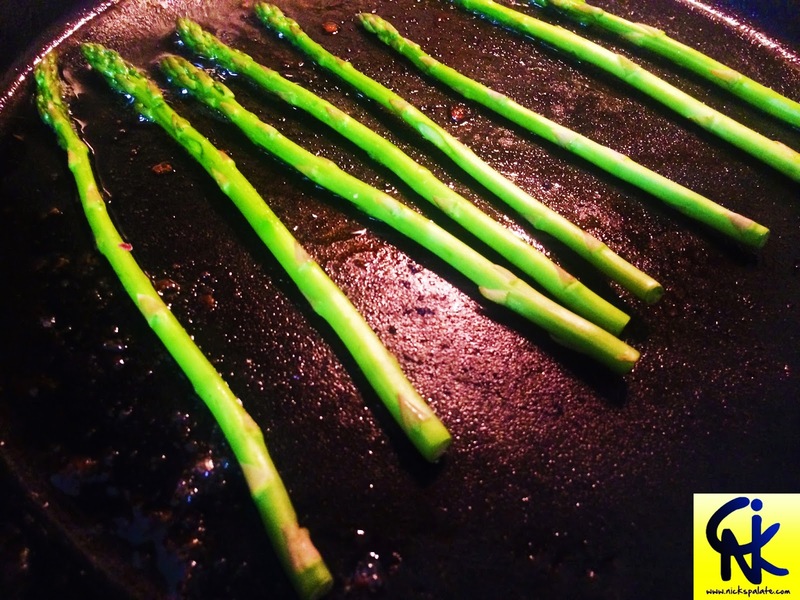 Cook the asparagus in the same pan you cooked the bacon. Let the asparagus absorb all the goodness of bacon :) Ya i just made asparagus a little appealing to the guys :). 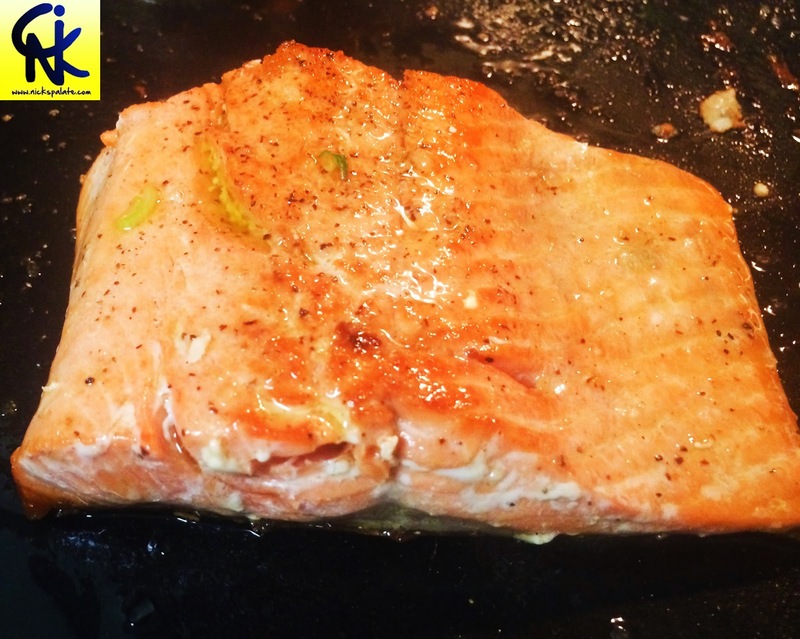 You just want to cook maximum of 2 minutes each side or until slight brown. In a sauce pan add a little olive oil. Heat it until you see smoke coming out of the oil. Take it off the heat and add your potatoes. Don't mix. Just let the bottom of the potatoes rest in the hot olive oil. After a minute put the saucepan back in the heat and cook for a minute. This way you get a nice char in the potatoes. Take it off the heat. 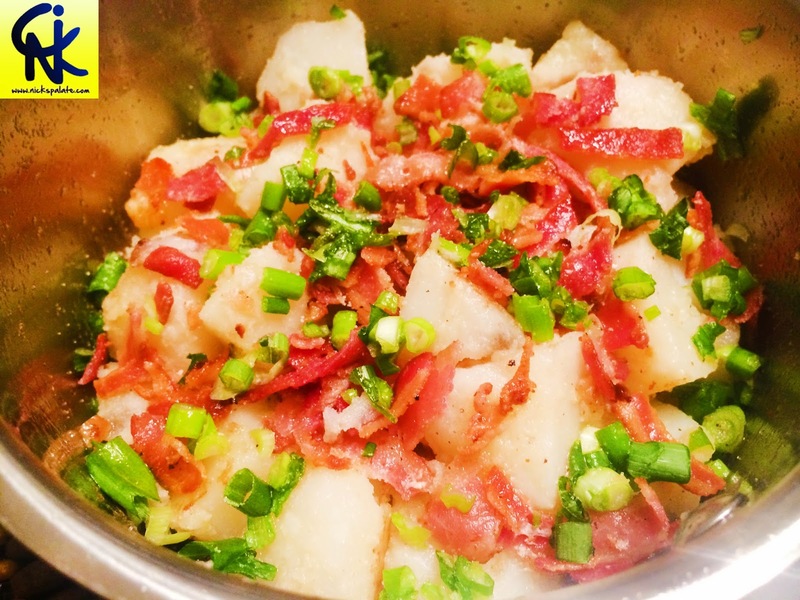 Smash and cut the garlic that you broiled and add it in the potatoes together with the crushed bacon and finely chopped spring onions. Add salt & pepper and drizzle about 2 tbs of your vinaigrette and your bacon residue that you preserved. Then take a fork and slowly start crushing the potatoes. Remember you are not mashing it just crushing it. This will give a little rustic look to the dish. Here comes the fish :) Ok ! so when you go to the market please buy wild salmon not the farm raised. It might be a dollar or so expensive per pound but the taste it totally worth it. 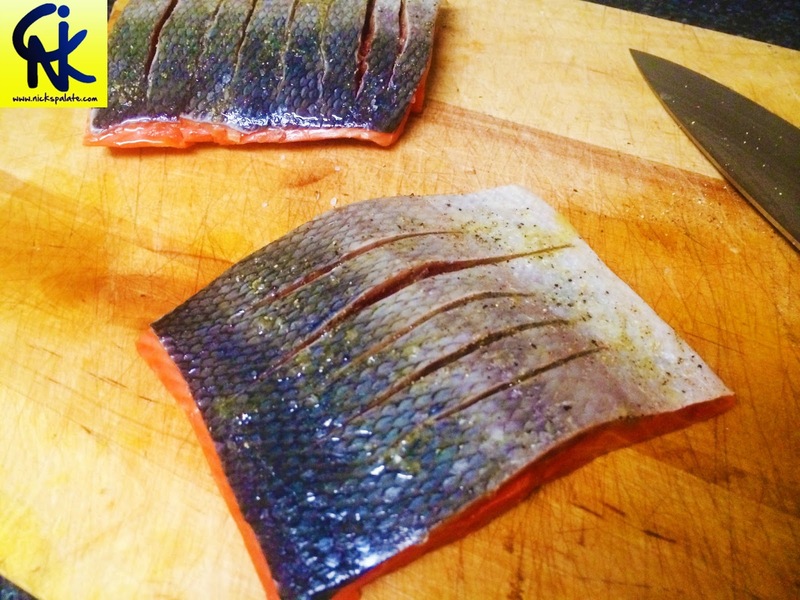 Take a filet of of salmon with skin and cut half inch straight as shown above. 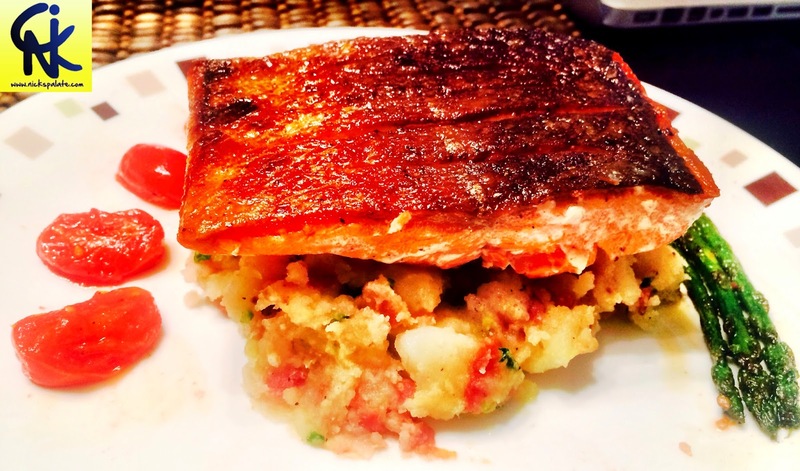 The reason why I am not using a skinless salmon is because there is a small layer of fat between the skin and the meat and when you sear the salmon skin side down later on a hot skillet, all the fat is going to melt and make your salmon juicy and the crispy skin adds another dimension to the dish. Season the top side with olive oil, sea salt and pepper. Make sure to get it inside the slits you made. I know a lot of us get nervous cooking fish. What should i do? how do i know when its cooked. 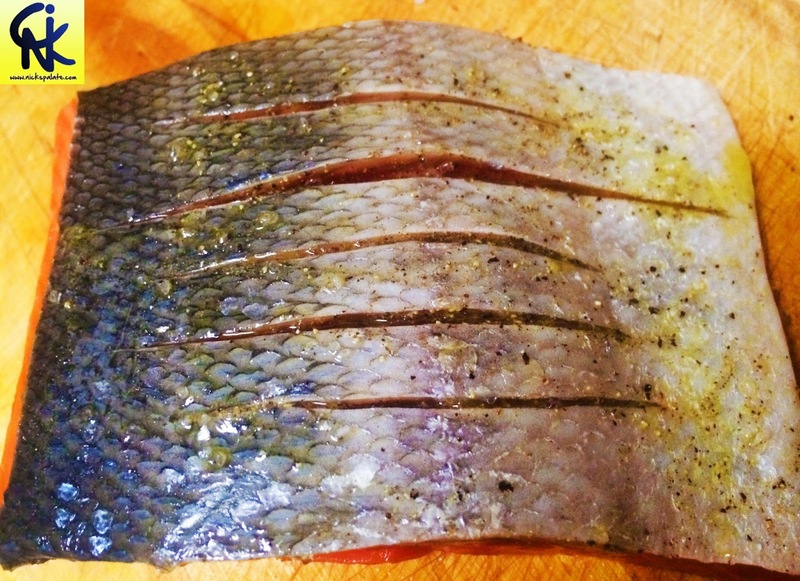 Here is a one thing you always have to remember with fish and sea food when you sear them - DO NOT TOUCH IT TOO MUCH :). You only need to flip it once and once only. In a hot skillet/pan add some olive oil. 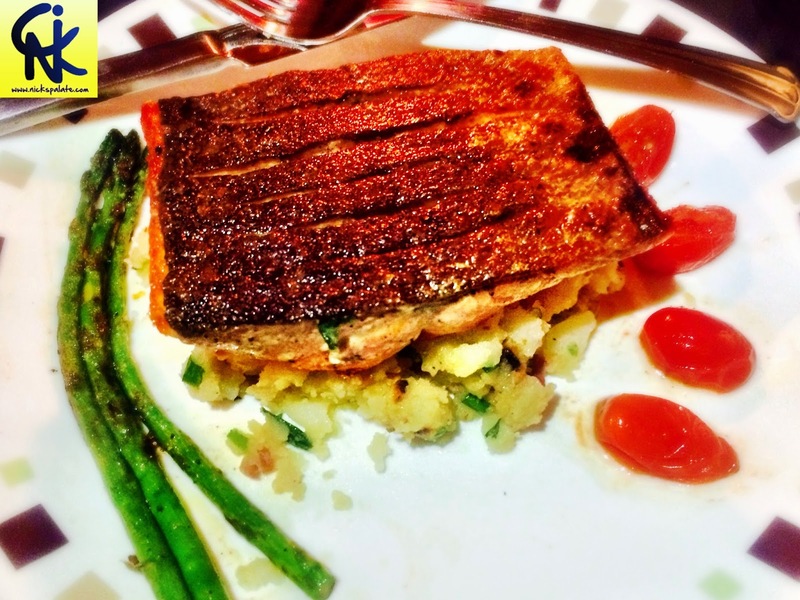 When you see the smoke coming out of the pan put your salmon skin side down. Season the top part of salmon with salt & pepper. Don't flip ! just let it cook 2/3 of the way. If you carefully look at the side of the salmon you can see it slowly turning white. That means its slowing cooking. 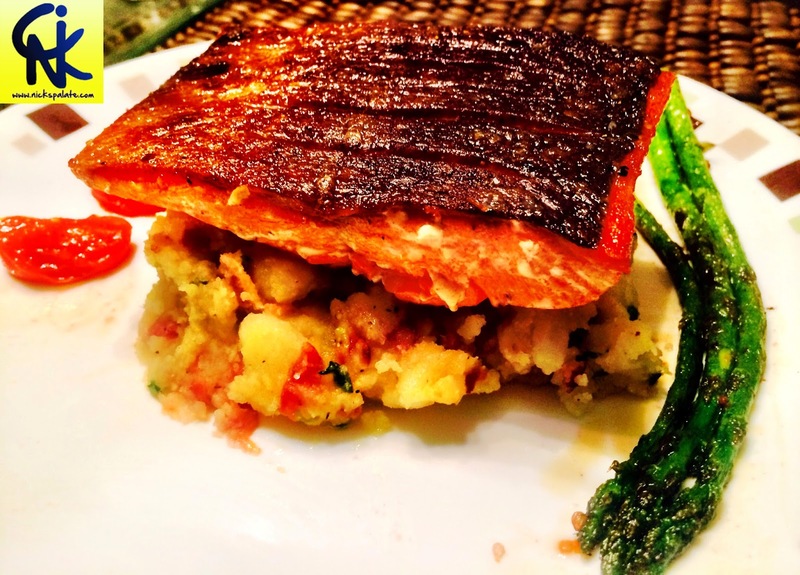 Just time your self - not more than 4-5 minutes each side depending upon how thick cut of salmon it is. 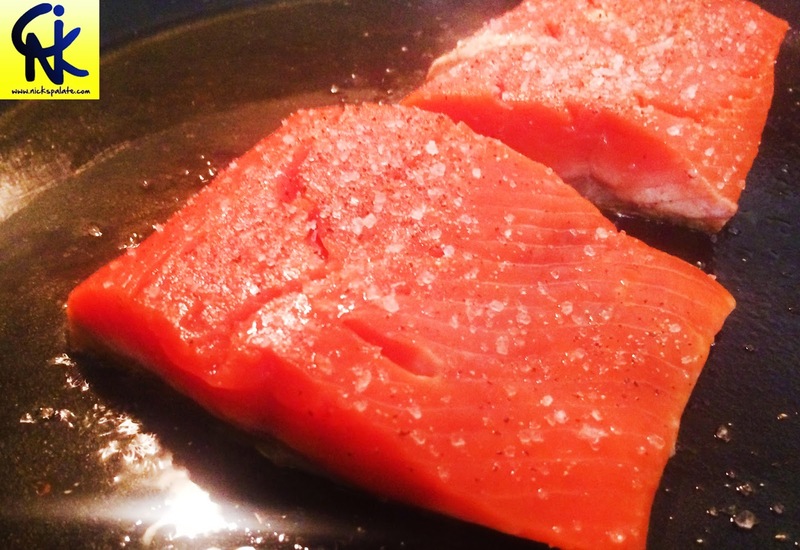 Once the salmon has cooked both sides just let it rest in the hot pan skin side down. Let it rest for atleast a minute before assembling your dish. dang Nick, this looks delish! Also like the pictures and the clear instructions. Keep it coming.